Here again Gagan taking his country’s pride up. 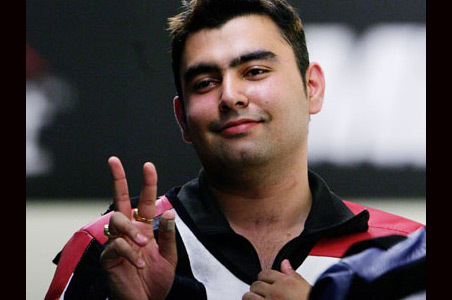 Ace shooter Gagan Narang picked up his and India's second medal at the Asian Games. He bagged the silver in the 10m air rifle individual event by scoring a total of 700.7. The current world record is in his name (703.5). China's Qinan Zhu got gold in this event with a score of 702. Olympic champion Abhinav Bindra failed to even qualify for the finals. Korean Kiwon Kim (596+104) took the bronze medal. Narang won three bronze medals in Doha Games four years ago. Earlier, Narang, Bindra and Rajput had combined to fetch a silver in the 10m air rifle team event.